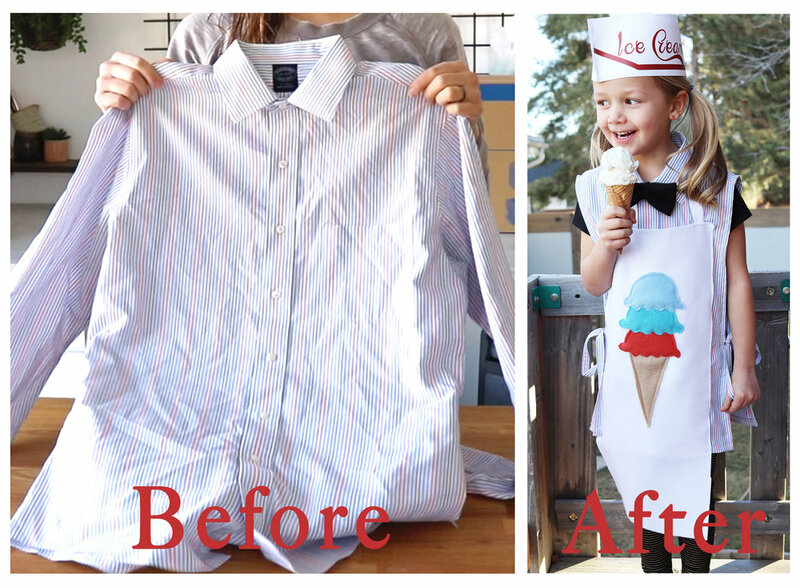 DIY Ice Cream Shop Dress-up from a men's dress shirt. It is so easy to make this fun dress up and my kids loved it. We scream for ice cream at our house and they had so much fun pretending to be the ice cream man and scoop their own ice cream. I love making clothes out of old dress shirts because it is easy, fast and cheap! Here is a tutorial of how to make this dress-up yourself, including how to make the hat. 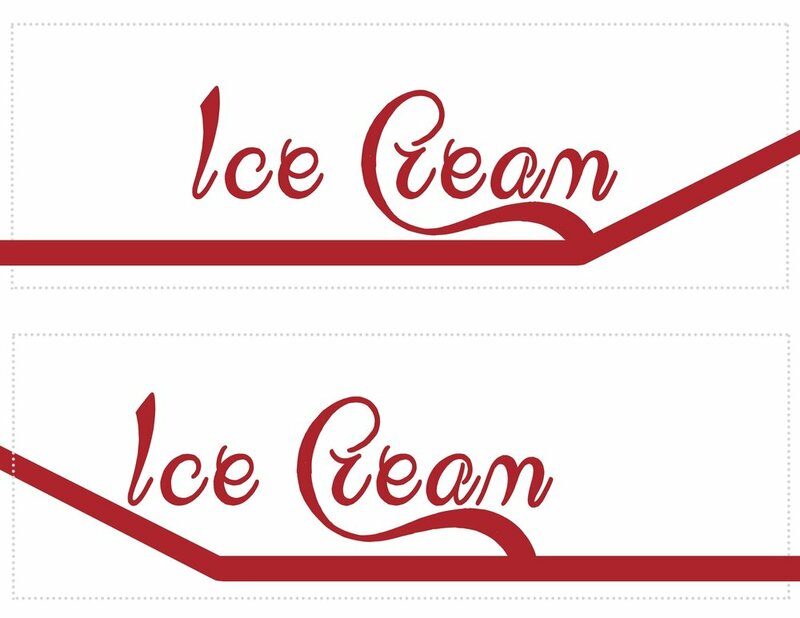 I have a jpeg at the bottom of this post you can save to your computer and print that has the Ice cream logo on it. Making dress-ups for my kids from old clothes is affordable and fun. I use felt or fleece to add character to the dress-ups because it is a cheap fabric and the edges won't fray which means you don't have to double fold the edge of the fabric. Make your own old fashioned soda shop hat by printing this image and following the directions in my youtube video.